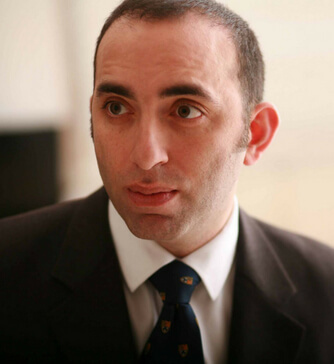 Daniel Ezra is currently a full-time consultant at the Adnexal Department at Moorfields Eye Hospital where he specialises in all aspects of cosmetic and reconstructive eyelid surgery and lacrimal disease. He is also the research lead and training director for the department and runs the botulinum toxin service dealing predominantly with abnormalities of eyelid twitching and facial paralysis. He is also the endoscopic lacrimal surgery lead at Moorfields. He graduated from Cambridge and London Universities with degrees in Medicine and the History and Philosophy of Science, winning several prizes and awards. After initial experience in Neurology and Neurosurgery, he undertook higher surgical training at Moorfields Eye Hospital. Mr. Ezra’s subspecialist expertise in functional and aesthetic surgery was developed over several years through advanced subspecialty training at Moorfields Eye Hospital and as an Interface Fellow in Cosmetic and Reconstructive Surgery in Nottingham. Mr. Ezra’s research into eyelid laxity led to a doctorate (M.D. degree) which was awarded the Sir Lionel Whitby Medal and Prize by the University of Cambridge for a thesis of ‘exceptional merit’. This research was also awarded the Syme Medal by the Royal College of Surgeons of Edinburgh. His subsequent research as an NIHR Clinical Lecturer was awarded further prizes including the ESOPRS award, BOPSS award, British Thyroid Association prize.